Ken Mansfield writes as both a cancer and music industry survivor, vividly describing the many fragments a person tries to assemble when cancer or any other personal tragedy strikes. It's tough being a Christian when hardships strike. We're all human and that means we're all susceptible to pain, doubt, exhaustion, anger, fear, the whole gamut of human emotions and experience. And they all come in a swarm when you get cancer. Stumbling On Open Ground steps away from the pattern of other cancer books, Christian or secular, and attempts to tackle the question of how you can doubt a God that you do not doubt. It's about having trouble believing what is going on when you believe God knows what he is doing at all times. It is about questioning what is happening when you know where all the questions are answered. Author Ken Mansfield takes readers into the experience in visceral, vulnerable passages that weave the ongoing spiritual struggle and physical pain with eventual triumph. Humbling and inspiring, his story forms a raw and ragged look at human suffering, one that validates our shared experience, provokes a powerful sense of empathy and encourages us to push into God even when it feels like God is pushing back. 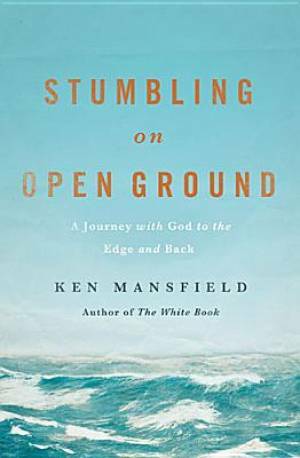 Stumbling on Open Ground by Ken Mansfield was published by Thomas Nelson in January 2013 and is our 16583rd best seller. The ISBN for Stumbling on Open Ground is 9781400204601. Be the first to review Stumbling on Open Ground! Got a question? No problem! Just click here to ask us about Stumbling on Open Ground.